Quake® Champions Official Website | Get into the Quake Champions Free-to-Play Trial! Get into the Quake Champions Free-to-Play Trial! Are you a newcomer itching to pull off your first rocket jump? A longtime Quake vet ready for the next challenge? Regardless of your skill level, now is the time to face the fast, fierce and fun scrimmages of Quake Champions! Announced during the Bethesda 2018 E3 Showcase, the Quake Champions Free-to-Play Trial is a limited-time event during June 10–17, allowing players to dive into the Quake Champions free-to-play version during Early Access for absolutely no charge! But like, is it free-free? Yes! 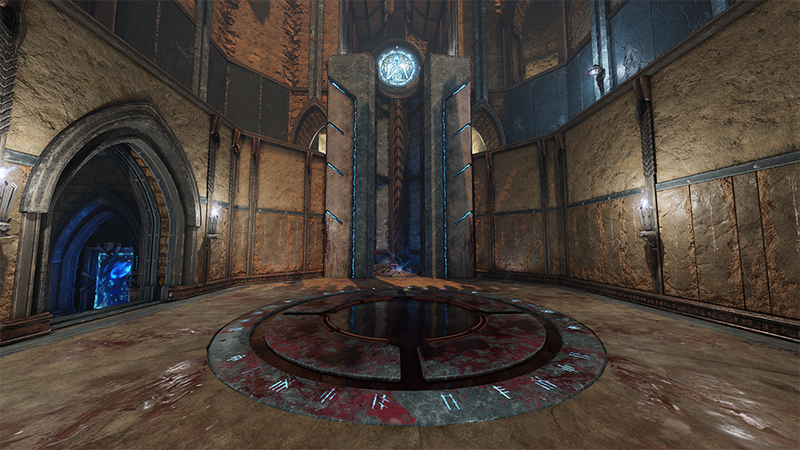 Players who participate in the weeklong program won’t just get to try the Free-to-Play version of Quake Champions while in Early Access, but can continue to play for free even after the event concludes on June 17. Download the Free-to-Play version of Quake Champions via the Bethesda.net Launcher or Steam. No preregistration, no codes, no waitlists – just download and play! This event only lasts from Sunday, June 10, to Sunday, June 17, so visit Quake.com today and get started. Queue up for battle, that’s what! Once you’ve played your first match during the F2P Trial Week, you're set to play keep playing Quake Champions even after the event is over! Also, just in time for you fledgling fraggers out there, we’ve recently added major enhancements to Quake Champions such as bots, improved matchmaking, tutorials and more to make it easier and more fun than ever for players to jump into the Arena! Need a primer on the ins and outs of Quake? We’ve got you covered there too! Check out our series of guides and learn how to frag your foes like the pros! We hope you enjoy the Quake Champions F2P Trial Week, and don’t forget to look forward to even more from Quake Champions as the game continues to add features in Early Access! Quake Champions is available now in Early Access via Bethesda.net and on Steam. Players who don’t participate in the F2P Trial Week can jump in immediately by purchasing the Champions Pack, which unlocks all current and future Champions as well as other exclusive in-game bonuses for only $29.99. A free-to-play version of the game will launch in the future.